Ross Elementary kindergarten teacher Kathy Fitzgerald is the 2017 winner of the Be There Award from the United Way. The award celebrates adults who go above and beyond to make a difference in the lives of children and youth by making sure they get what they need to thrive. North Hills Middle School teachers Larry Dorenkamp and Joe Welch have been selected to attend Gilder Lehrman Institute of American History summer teaching seminar programs, as well as the Elevating and Celebrating Effective Teaching and Teachers (ECET2) western Pennsylvania convention sponsored by the Bill and Melinda Gates Foundation. Both educators were chosen for their interest in American history, commitment to growth and progress in the teaching profession, and ability to translate new knowledge and materials into effective classroom teaching. Saint Joseph High School freshman Beatrix Stickney earned a second place trophy at the annual Freshman-Sophomore Speech Contest. She won three first place and one second place award. About 260 Shaler Area High School students from the concert band, marching band and auxiliaries, choir, and orchestra participated in the Festivals of Music, an adjudicated competition held in Myrtle Beach, SC. They won top awards in addition to the Dr. Tim Lautzenhauser Esprit de Corps Award for their exemplary attitudes and outstanding personal behavior. Four Fox Chapel Area High School students were recently named national winners in the Scholastic Art Awards of 2017. Senior Bryanna Urso received a gold medal for her photograph and sophomore Sofia Porter Bacon won a gold medal for her digital art. Senior Elaina Graca won a silver medal for her photograph and sophomore Paige Johnson won a silver medal for her jewelry. Seneca Valley students Jack Reynolds and Anna Sullivan have earned the distinction of being in the top one percent of high school artists nationwide. Reynolds, a junior, won a gold medal for his photograph Ennui, and Sullivan, a senior, won a silver medal for her ceramic sculpture The Road Traveled. They are invited to a ceremony at Carnegie Hall in New York City on June 8. Consiglio Financial Group, LLC has announced that August D. Consiglio, ChFC, has been named a 5-Star Wealth Manager for the sixth straight year. 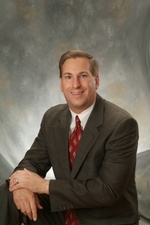 Consiglio is a 1985 graduate of Carnegie Mellon University and has been an independent financial advisor for more than 30 years. Sharon L. Taylor, MD, was installed as president of the Pittsburgh Ophthalmology Society (POS) at the society’s annual meeting and will serve a two-tear term. Dr. Taylor earned her medical degree from Albany Medical College. She moved to Pittsburgh in 1989 and completed a transitional year internship followed by an ophthalmology residency at St. Francis Medical Center. 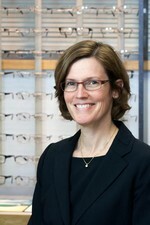 She joined North Park Ophthalmology, an independent comprehensive ophthalmology practice in McCandless Township, in 1993 and has been in full-time practice since. The Gold Award, presented to Elana Sanguigni by the Girl Scouts Western PA, recognizes girls in grades 9-12 who demonstrate extraordinary leadership through sustainable and measurable Take Action projects that address important community needs. 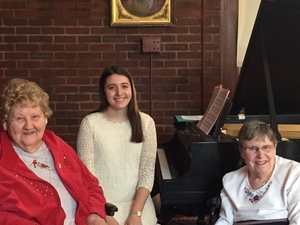 Her project entitled “The Gift of Music Therapy” is designed to relax nursing home residents while they reflect on fond memories. Fox Chapel Area High School seniors Jared Cohen and Allison Gould are winners in the 2017 Founding Freedoms Essay Contest. Jared won first place in the twelfth-grade portion with a cash prize of $2,500 and Allison placed second, winning a cash prize of $1,000. The Bradley Partnerships, Inc. (TBP), a management consulting firm focused on organization and human resource solutions, will celebrate its 15-year anniversary this month. Founded by Lois Bradley, the TBP has received 8(a) certification from the U.S. Small Business Administration which will enable it to expand its services to the federal government. The Domestic Outreach Center, which is dedicated to preventing domestic violence and underage drinking, has awarded Judge William Wagner of McCandless its Judicial Excellence Award. Wagner was selected from more than 70 district and Court of Common Pleas judges to receive the award for going above and beyond what is expected to accomplish a safe and stable environment for children. North Allegheny teacher Elizabeth Gallagher has been awarded the PA Association of Family and Consumer Sciences graduate fellowship. The award recognizes an exemplary student in a graduate program who has demonstrated active leadership in family and consumer sciences while maintaining strong academics and extracurricular activities.